Coiled up, in the heart of the Golden Triangle few steps from the Champ Elysées and the Montaigne Avenue. This Charming white mellow space from the floor to the ceiling is warm almost intimist that the time would be suspended. The workshop Diamant Blanc is a genuine treasure chest, perfectly suited to the splendor of dresses presented. 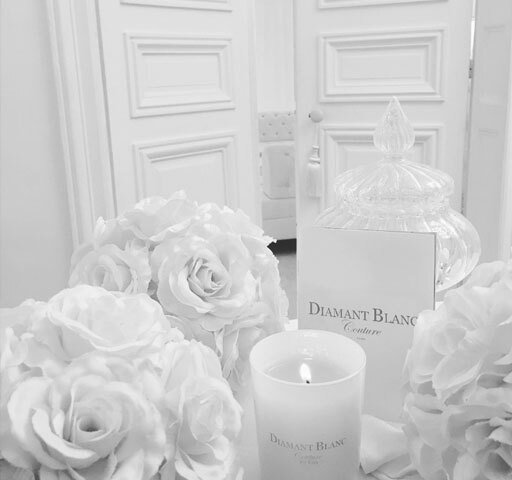 With Diamant Blanc « all is order and beauty, luxury, peace, and pleasure ».